“Tremendous, in a word,” is how School of Communications & Media Technologies Director Jan Yanehiro describes instructor Matty Staudt. 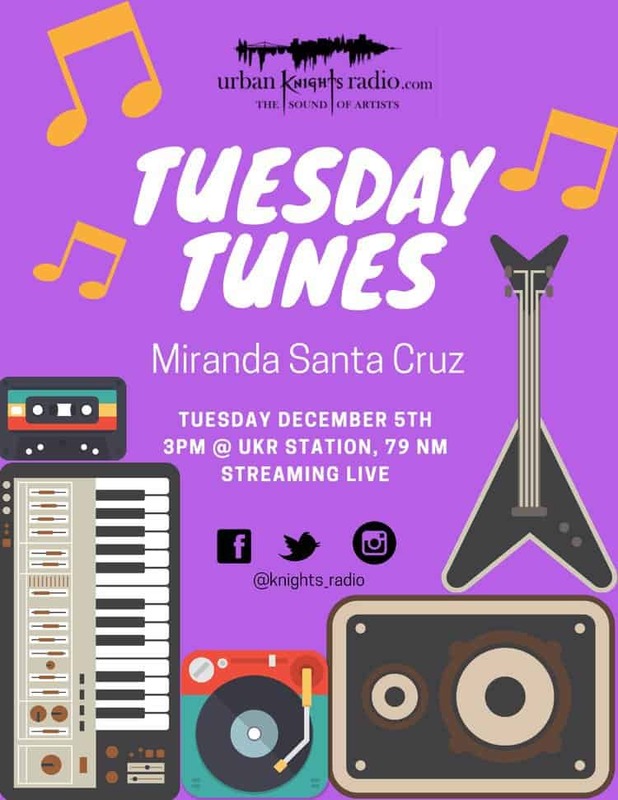 In 2011, Staudt launched the Academy’s Urban Knights Radio.com (UKR). Since then, the student-run station has gone on to become one of the top three streaming radio stations in the U.S., with over a quarter of a million listeners every month. Also available via the iHeart Radio app, UKR is one of the top three college stations in California. Yanehiro credits Staudt with getting students on board toward becoming multimedia specialists and listening to their input on the type of programming that UKR would air, including shows that focus on relationships and others that highlight specific genres of music, like hip hop and jazz. 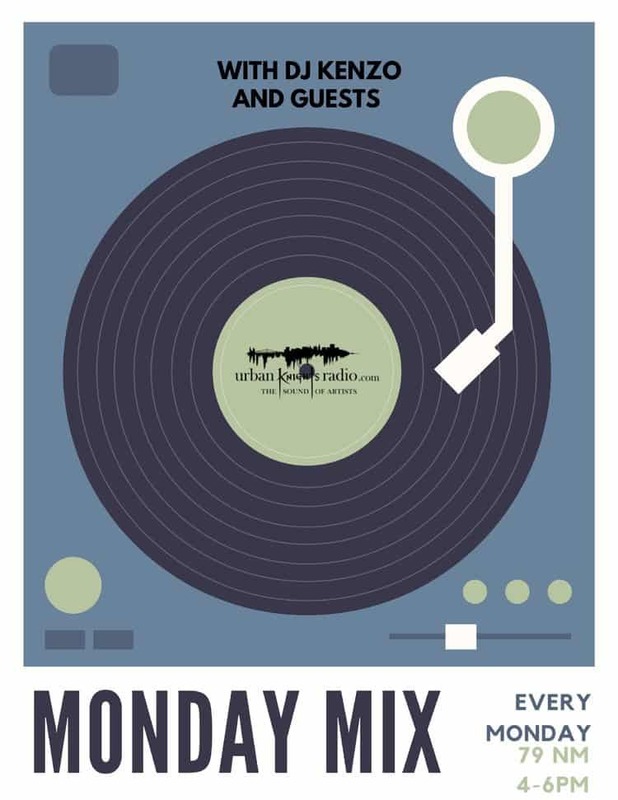 Along with on-air programming, Staudt worked with UKR staff in the creation of live, in-studio performances, first with Tuesday Tunes and, more recently, Monday Mix. 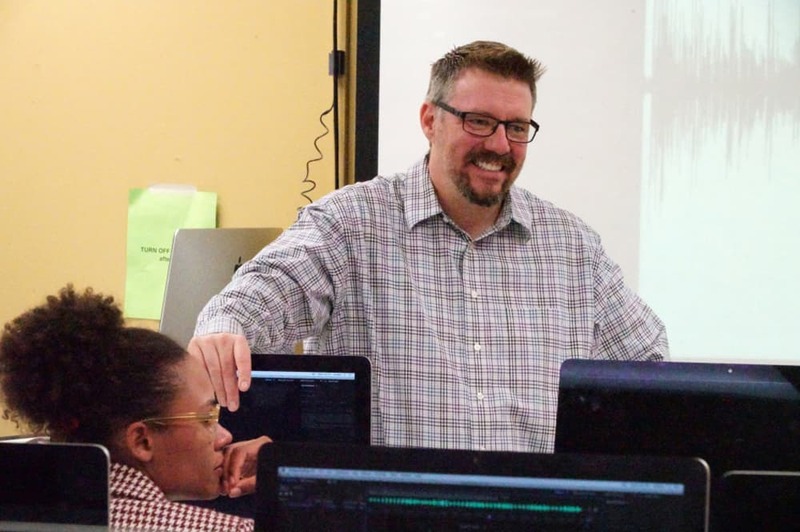 Besides overseeing UKR, Staudt created the Academy’s podcast courses, COM 150: Introduction to Radio/Podcasting and COM 250: Podcast Production and Promotion. “He’s pushing us into the future,” says Yanehiro. With his nearly 30 years of experience in radio broadcasting and trailblazing in podcasting, it’s no surprise that iHeartMedia recently promoted Staudt to VP of Podcast Programming for iHeartRadio. We asked Staudt about his new role at iHeartMedia, as well as the growing popularity of podcasts, and how he works with students to create podcasts unique to the platform. What does your role as VP of Podcast Programming entail? We have 844 radio stations, and we have some of the top radio talent in the United States working for us. My job is to work with them on creating a podcast, and I’m coaching them and being a mentor…. It’s kind of funny—it’s kind of like what I do here at the school. Radio is still pretty new to podcasting. It’s only been front of mind for radio for a couple of years, [and] it shouldn’t have taken that long. But I’m one of the few people in the business who has a ton of on-air and producing experience in radio and a ton of podcasting experience. So I’m kind of the perfect hybrid for this job, where I can talk radio, I can talk podcasting. In your new role, how do you see iHeartMedia continuing to take up leadership in this growing medium? We are now the second largest podcast producer in the world, and we weren’t anywhere on the list a year and a half ago. So, it makes perfect sense for us. We’re the number one audio company in the United States. We’re the number one media company in the United States. Audio is what we do. So we should own podcasting just like we owned the radio space, and I think that’s where the push is. [Initially] my job was to be the digital program director, so I was in charge of social media, videos, and podcasting. I’m a podcasting guy. I wanted to show what we could do when we put our attention on podcasting, and we created 30 podcasts in the market…. The company was like, “Oh my gosh, look what he’s doing there. It’d be great if we could do that other places and do that all over the country.” So that’s why they made this job for me; this wasn’t a job before I had it. This is the first job like it in radio. There’s nobody else in radio that has that title and it’s cool. Why do you think more people are listening to podcasts? It’s that intimacy and that shared experience. Podcasting touches a part of the brain that is also touched by reading a book. So when you read a book, you’re immersed into that world, and in podcasting you get immersed into that world. And quite frankly, the world is not very fun right now in a lot of places we go. You know, when we go on social media, it’s arguing and politics and everybody’s angry. It’s kind of stressful to be a human being sometimes. And good podcasts take you out of that and put you in another place. You know, you don’t ever hear podcasts where it’s a bunch of arguing, like, that doesn’t work. Podcasting does need to be that escape. People like true crime podcasts, where it’s this kind of like, oh, what happens next? It’s a great way to turn off that part of your mind that’s constantly buzzing. In developing an original podcast strategy for iHeartMedia, what kind of podcasts have you prepared for listeners, and are podcasts going to lean in a more musical direction? The first thing I tell anybody when they start a podcast is if you’re not passionate about what you’re doing, don’t bother. We’ve got hosts that have interests all over the place, but you know, of course we have access to celebrities and celebrity interviews that nobody else has; iHeart gets everybody. That’s one thing, like, instead of doing just short radio interviews, they’re these nice long podcast interviews. We just launched a new podcast, “Inside the Studio,” where we’re doing in-depth interviews with artists. The first one was with Mike Shinoda [of Linkin Park]. That podcast is a good example of what we can do on the music side, but I plan to hopefully see some podcasts about everything from sneakers to The Bachelorette. We do a lot of shows like that; it’s also like, what are our listeners into? How do we give them something else besides what they can get on the radio show? How do you work with your students in developing their voice for their chosen podcast topic? People are always amazed when they take my podcasting class. The midterm is a PowerPoint. I make them really vet out a topic. Find out who else is doing it, why are you going to be different and better? Who exactly is your audience? When I do that with my students, I make them actually invent a person, and I need to know everything about that person. Because once they do that, and they really get into the topic, they really know that person, and then they can run that filter whenever they start to put content together for their show. Well, would “Kate” like that? No, that’s not “Kate” material. Everybody in my class knows “Kate,” because that’s the person I always talk about…. “Kate” lived in Marin, and she drove a BMW, and I knew everything about “Kate,” so I always make sure that they work up before they even start producing the podcast. Finally, what podcasts do you recommend?